The appointment of Ryan Giggs as the new manager of the Wales national team catapulted some great expectations. One of them is magical Giggs to restore Gareth Bale's declining performance due to hard-hit injuries. Since the 2016/17 season ago, Bale is not able to show the maximum game he can show. This applies to his career at Real Madrid and also the Wales national team. Because, Bale too often deal with injuries. Injury is also still a scourge for Bale in the 2017/18 season. The 28-year-old has only eight appearances for Madrid in La Liga, of which 18 have already been played. 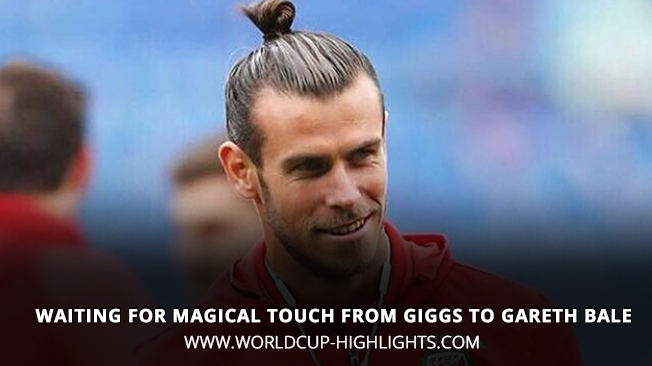 Giggs's presence as Wales manager is expected to transmit many positive things for Bale. Especially, about how Giggs keeps his performance and avoids the risk of injury while still active as a player at Manchester United. Giggs has already stated that it will not mind to share the experience with Bale. "It's about conveying the experience you get as a player, but there are definitely some different things you will face," Giggs said. "So maybe there will be further conversation because everyone wants a fit Garteh Bale, and everyone wants a good Welsh national team so you will have the best players to choose from," Giggs said. As a note since joining Madrid from Tottenham in 2013 ago, Bale has only recorded twice playing more than 40 matches in all competitions in a single season. Australia has not had a coach for the 2018 World Cup tournament. A number of new coaches are still considering. Roberto Mancini is one of them. On November 22, 2017, two weeks after Australia qualified for Russia 2018, Ange Postecoglou retired from the coach seat. Until now there is still no successor. According to local media The Australian, as quoted by Football Italia, the local federation has decided to approach Mancini. Former Inter Milan coach was reportedly going to be offered a short-term contract, only for the upcoming World Cup. Mancini currently coaches Zenit Saint Petersburg in Russia. Mancini has never handled the national team. Before coaching Zenit, he is the coach of Fiorentina, Lazio, Inter, Manchester City, also Galatasaray. Not just Australia who want services Mancini. 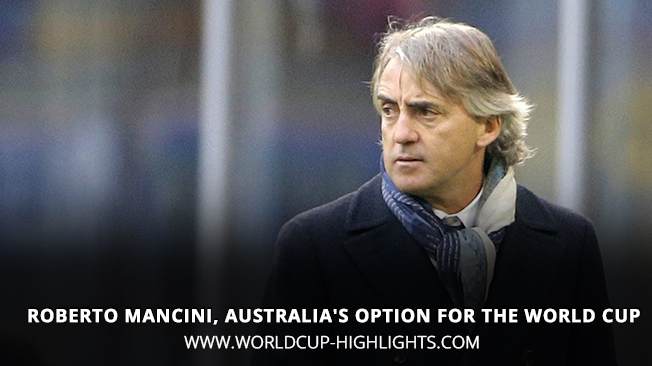 His own country, Italy, also makes Mancini one option to replace Gian Piero Ventura who failed to pass the Azzurri to Russia 2018. Giggs Towards Wales National Team Coach Seat. The Wales national team coach's seat is currently empty since the abandonment of Chris Coleman, who now handles Sunderland. The local football federation has been eyeing a number of potential successors. One of them is the legend of Wales and Manchester United, namely Ryan Giggs. According to the BBC, Giggs has undergone an official interview for the job. But he is not the only candidate. There is one former Welsh player who is also considered by the federation. He is Craig Bellamy, former Newcastle and Manchester City striker. Giggs had expressed interest in becoming coach of the national team. Now, his wish seemed to start to reality. Giggs himself has experience training from Manchester United. He was once the assistant manager of Louis van Gaal at Old Trafford. The Football Federation of Wales finally chose the legendary figure, Ryan Giggs, to become manager of the Wales national team. As manager, Giggs will be tasked with bringing Wales to Euro 2020 and 2022 World Cup. Wales has previously split with manager Chris Coleman, after failing to appear in the 2018 World Cup finals, held in Russia. After considering several names, the Giggs party was eventually selected as manager. The announcement of the appointment of Giggs as the new manager of Wales national team has been confirmed directly through the official social media accounts owned by the Football Federation of Wales. Giggs is a legendary figure for Wales, a player who throughout his professional career only ever played at Manchester United, listed 64 caps alongside Wales. Giggs service period for the Drangons as a player occurred in the period 1991 to 2007 ago. As a player, Giggs has never been able to bring Wales to play in major tournaments like the World Cup and the Euro. Before it is certain to train Gareth Bale and colleagues, Giggs had become a caretaker for United at the end of the 2013/14 season after the club sacked David Moyes and became assistant Louis van Gaal at United. Giggs left the position of United's assistant coach when Jose Mourinho came. Ryan Giggs reveals the crucial figure that determines why he is willing to accept proposal as manager of Wales national team. According to Giggs, he first talked to Sir Alex Ferguson when the offer came. Giggs is not a stranger with Fergie. The former Manchester United winger has been raised by Fergie for 23 years at Old Trafford. After talking with Fergie, Giggs then received a proposal Wales. The 44-year-old manager was announced by the Wales Football Federation as the new manager for the national team on Monday (15/1) local time. Giggs replaces Chris Coleman. "It would be very stupid [if I refuse this offer] Fergie is one of the best managers of all time I talk to him but I want to be myself, I am my own person," Giggs said. In addition to United's legend, with 25 achievements, Giggs is also a legend for the Wales team. However, Giggs never gave the title for his country. Giggs even always failed to bring Wales to play in major tournaments like the Euro and the World Cup. Well, as a manager, Giggs is now on the road to bring Wales to the 2020 Euro and 2022 World Cup. "It's our recurring thing to say, having a good career as a player does not mean it will also be good as a manager but I will do what ever I do as a player I want to enjoy it, there are a lot of things I have to do" Giggs lid. 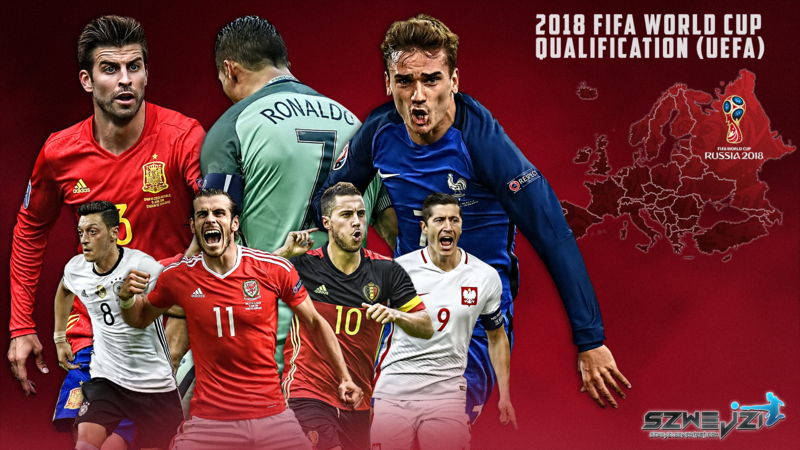 Good Luck Wales National Team ! 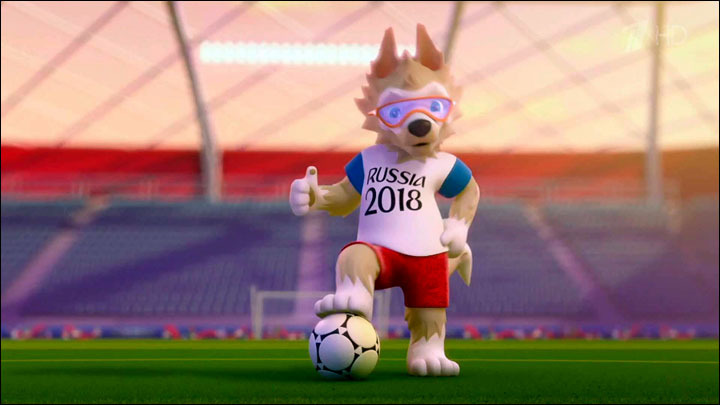 FIFA World Cup Russia 2018 - Both women and men are certainly no stranger to the FIFA World Cup even though they are not soccer fans. The FIFA World Cup is the greatest-anticipated football competency, in which the international race is followed by a FIFA team that is the world's soccer organization. The race is held every 4 years starting from 19130, except in 1942 and 1946 because of World War II. 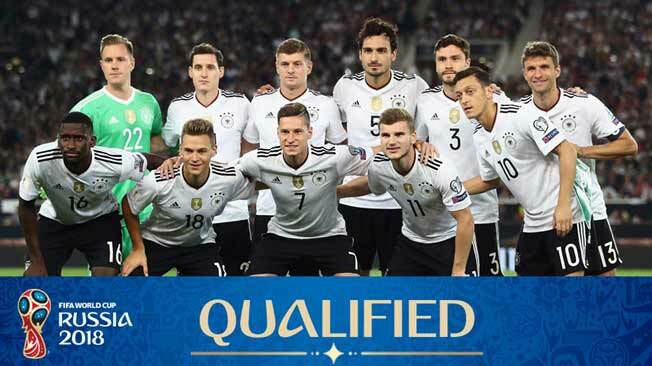 The current World Cup champion is the German country that won the match in Brazil in 2014. The format of this match is in 1 month there are 32 teams competing for the champion in the sports rink provided by the host. 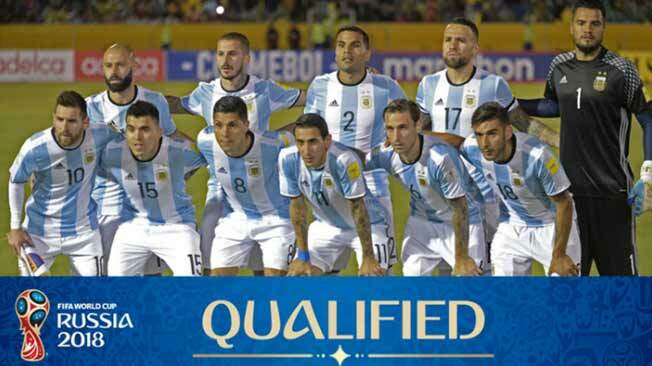 The qualifying phase will be held within 3 years of the World Cup. This event is a much-watched and awaited sporting competence over Olympic events, so it's no wonder if every World Cup event always delivers an exciting surprise. In 1904 FIFA was established as an organizing body of special international soccer competitions outside the Olympic program which began to be held in 1906 in Switzerland. According to FIFA, this tournament is a failure but understandable because at that time FIFA has just formed. In 1909 the Lipton tournament was held in Torino which is the origin of the World Cup. 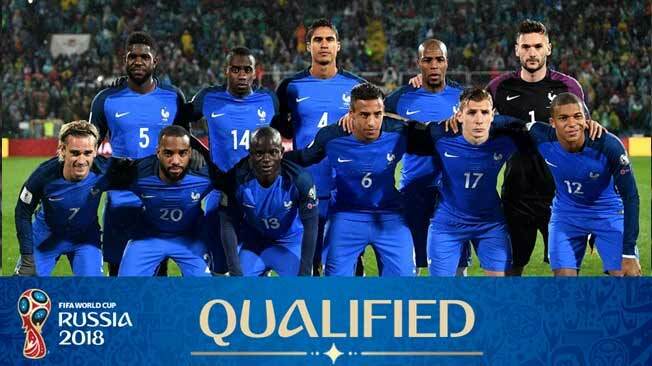 Where this tournament is a competency whose team represents one country. when President Jules Rimet took the lead, FIFA began to organize the international soccer competitions apart from the Olympic Games. Therefore in 1928, exactly May 28, FIFA began to decide to organize the tournament itself. Where Uruguay is designated as the host. Where at that time the difficulties faced is to travel between continents. Where some South American teams could not leave for Europe in 1934 and 1938. The World Cup in 1942 and 1946 to be held in Germany and Brazil was canceled due to the outbreak of World War II. In 1950 the World Cup was held in Brazil and began to be followed by a British state that came out in 1920. In 1982 the contest participants became 24 teams and added in 1998 to 32 teams. 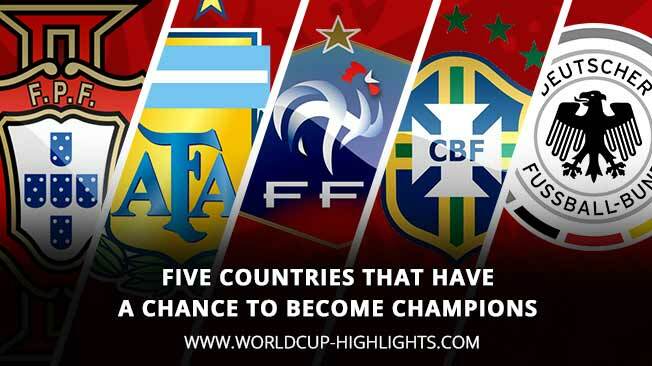 The World Cup is always selected through the FIFA congress where South America and Europe are the main centers. In 1958 FIFA began to implement a host system in turn for Europe and America. South Korea and Japan making it the first World Cup to host more than one. Currently, the selection process of the host is conducted by way of voting by the FIFA Executive Committee by using a complete ballot. For the 2022 World Cup, Qatar was chosen as the host of the organizers. Despite the severance of diplomatic relations of some countries due to allegations Qatar supports terrorists. So this certainly gives a very wide effect including in the implementation of the 2022 World Cup. But according to FIFA this event will continue to run because FIFA is a football-related organization and does not intervene geopolitical problems of the region's origin safe despite a political crisis. And that's the discussion about the FIFA World Cup. Alexandre Pato still wants to defend the Brazilian national team in the 2018 World Cup finals. But to get the opportunity, Pato should be able to take the heart of Tite coach. The player who has been a star at AC Milan is no longer playing for Team Samba since October 2013. Pato opportunity to return to national players is difficult because Brazil now has a lot of stock players. Alexandre Pato's chance to be featured in Brazil's national squad for facing the 2018 World Cup rivals in Russia in June will seem very difficult to achieve. But for the Tianjin Quanjian club attacker it still keeps the fancy to participate and seize the place to bring the challenge of his country. The player who at one time was labeled as 'wonderkid' for Brazil was a despair of international action since October 2013. The circumstances that made him so desperate to steal the attention of the chairman of Brazilian coach. Pato, 28, scored 15 goals in 24 appearances to help Tianjin Quanjian finish the Chinese Super League rivals in 3rd place. The number of 15 goals from 24 appearances to bring Tianjin Quanjian finish in third position China Super League was not a guarantee. "I've been working all year and always thinking about the national team, which means adding more physical work at home," he told Omnisport on Wednesday (17/1/2018). Pato revealed if he always worked to get back the opportunity to wear the national team uniform. "I want to play in big tournaments, I managed to bring the club to the highest level that no one ever expected." Coach Tite does not completely glance at a number of players who graze in China. At least, two players Shandong Luneng Gil and Diego Tardelli with Renato Augusto from Beijing Guoan are still Tite's attention. "I have produced a great year and I think that opportunity is there.As Gil, Tardelli, and Renato have gained, I think I still have plenty of time for the World Cup, I will try and focus on working in China and if the opportunity finally comes, I am very happy, I work 100 percent to return to the national team. " "In every game, I give the best so I believe, who knows, I can get a chance to get back in. Who knows, maybe (I can) play in friendlies or anything else involving the national team so I can show my work again to Tite's coach, "
Real Madrid legend Luis Figo expects the Portugal national team to be the champion in the upcoming 2018 World Cup. 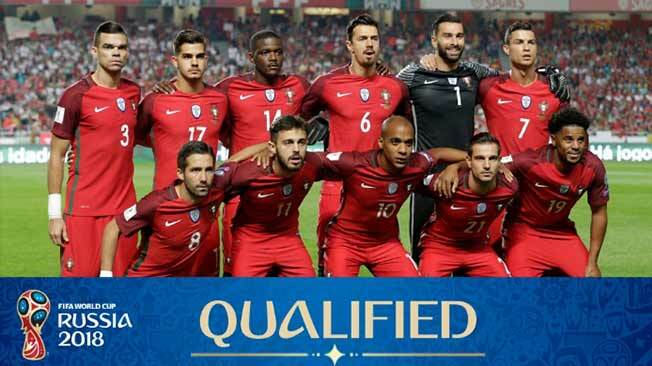 Portugal managed to pass the qualifying round and then being in group B, they can get away with only one defeat. Cristiano Ronaldo cs can get away as group winners with Raihan 27 points. They are ahead of goal difference over Switzerland in second place. In the draw in the final round, Portugal get into group B. Their opponents in the group are Spain, Morocco, and Iran. 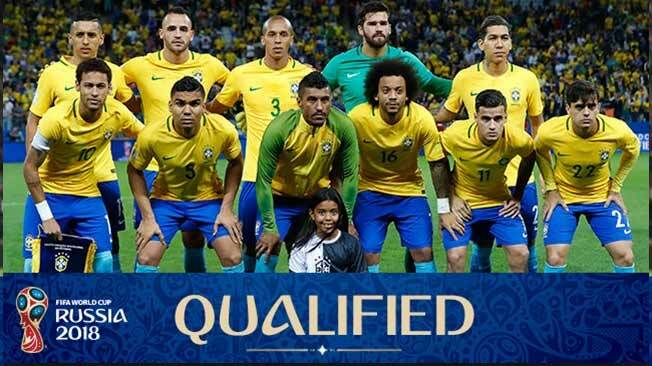 Figo also very hope Selecao can escape from the group phase and after that can be the champion. He also claimed to be a champion would be very difficult, but he still hopes Portugal can continue his brilliant achievement in Euro 216 ago. "Portugal have a good team, but we got a tough draw with Spain, Iran, and Morrocco," he told them. "But we hope to qualify for the next stage, our goal is to reach the final, but this is a very tight competition," he admitted. "We have high hopes to perform well, however, and to ensure we continue our good work after winning the European Championships last year," Figo exclaimed. While on the other hand, Ribery Still Upset About Black Goat in France. Franck Ribery said he still traumatized by the attitude of the French citizens, who could make it a scapegoat for the failure of the national team. Ribery felt that he was the only person who bears the burden of responsibility after France played so badly and have to come home early in the 2010 World Cup. At that time the Roosters team also showed embarrassing behavior after their players by showing rebellious attitude to head coach Raymond Domenech. And up to now, Ribery still hold a grudge on the media, which he thinks has a big role in the treatment he gets. "2010 ago, they need someone to blame," he explained at Goal International. "Everyone in France believes I am the problem - even my parents too." "I can not forget the attitude of some French media, it is a scar that continues to persist in me, it is too painful." Ribery's contract at Bayern Munich will run out at the end of this season. 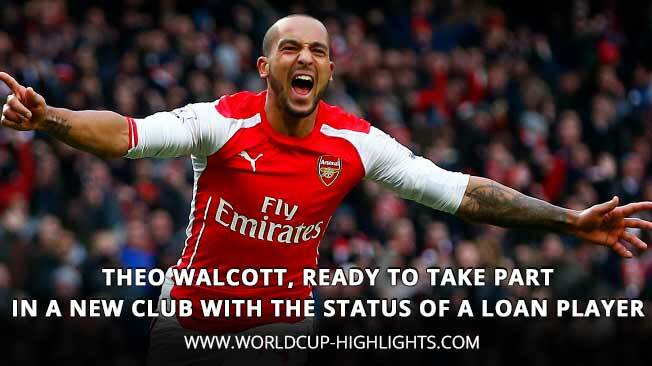 Arsenal midfielder, Theo Walcott, reportedly ready to take part in a new club with the status of a loan player. The decision have to take for the sake of securing a place in the England squad for the World Cup in 2018. Reported by BolaSport.com from Goal, time play Theo Walcott in the 2017-2018 season is not much. He has just dropped 15 times for Arsenal where nine of them took place in FA Cup or Premier League Cup competitions. Finally, Walcott came down as Arsenal lost 2-4 to Nottingham Forest in the third round of the FA Cup on Sunday (7/1/2018). In fact, his contract will run out at the end of the season. Walcott thinks he should have more time to play if he wants to convince England coach Gareth Southgate. He was ready if it should be loan until the end of the season. By chance, Southampton is having the interest in Walcott. The Saints' team coach, Mauricio Pellegrino, once said that Walcott would be fit for his team. On the other hand, Arsenal's Arsenal tactician, Arsene Wenger, hopes otherwise. "I want Theo Walcott to survive.Really, I hear the interest of Southampton, but I hope Walcott survive," said Wenger, two days before the game versus Nottingham Forest.